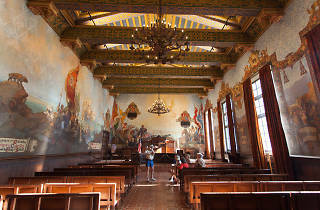 The Santa Barbara County Courthouse: the one time you actually want to spend a day at court. The Spanish-Moorish structure is striking from the inside, but step underneath its spacious archway and you’ll find yourself inside one of the most beautiful government buildings in the country, period. 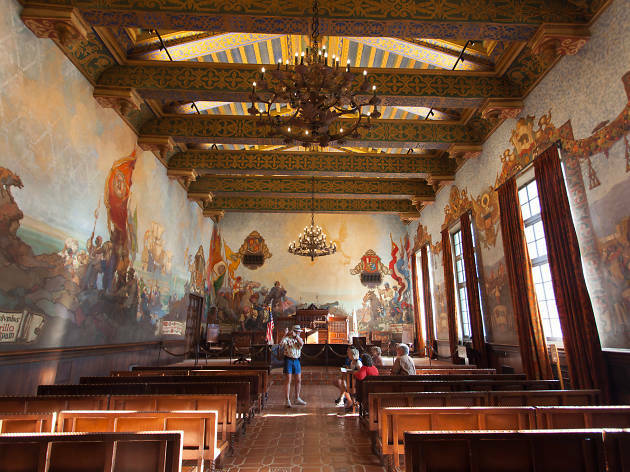 Take the elevator or stairs to the top of the “El Mirador” clock tower for sweeping views of Santa Barbara—make sure to stop by the historical, sublimely painted Mural Room on the second floor.